MP3. Testimony of Dr. Feng Bing Cheng in MP3. 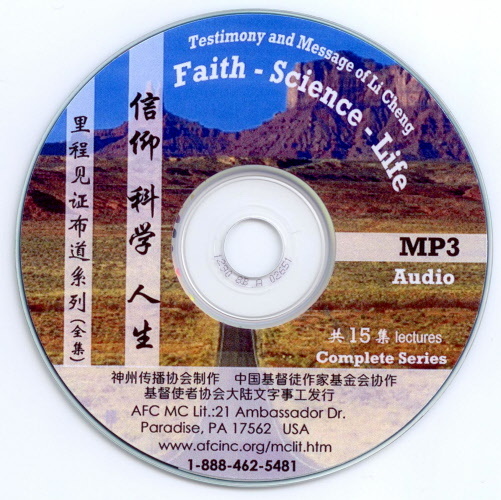 Evangelistic series by Li Cheng in one MP3. It includes all 15 lectures. Audio Only.